Sound isolation booth and control station. 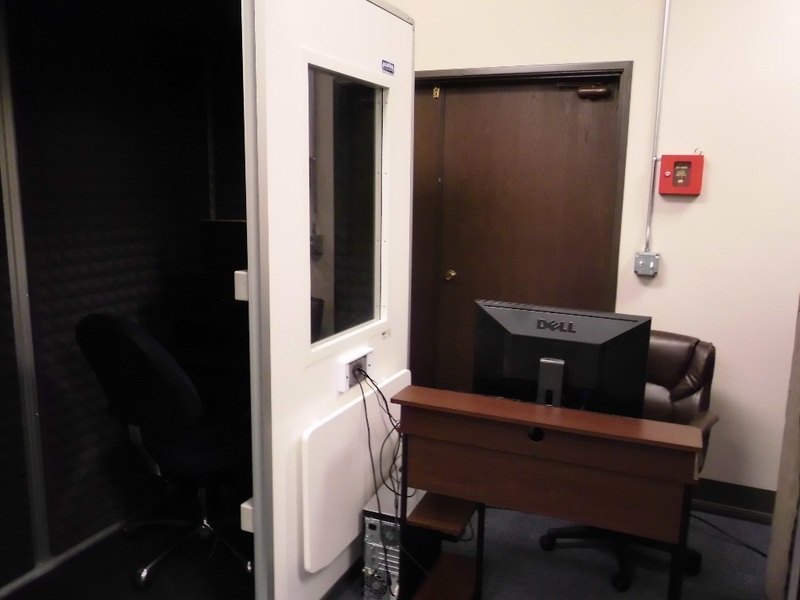 We don’t want our experiments interrupted by background noise, so experiment participants will sit inside the sound isolation booth while data is being collected via EEG. 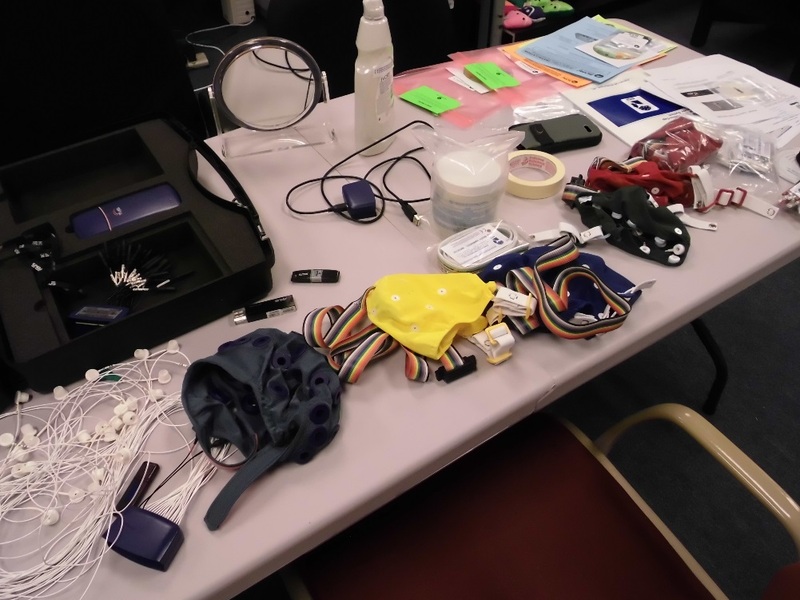 The Mobita EEG system and headsets. A new, advanced 32-channel EEG system will be used to collect data. 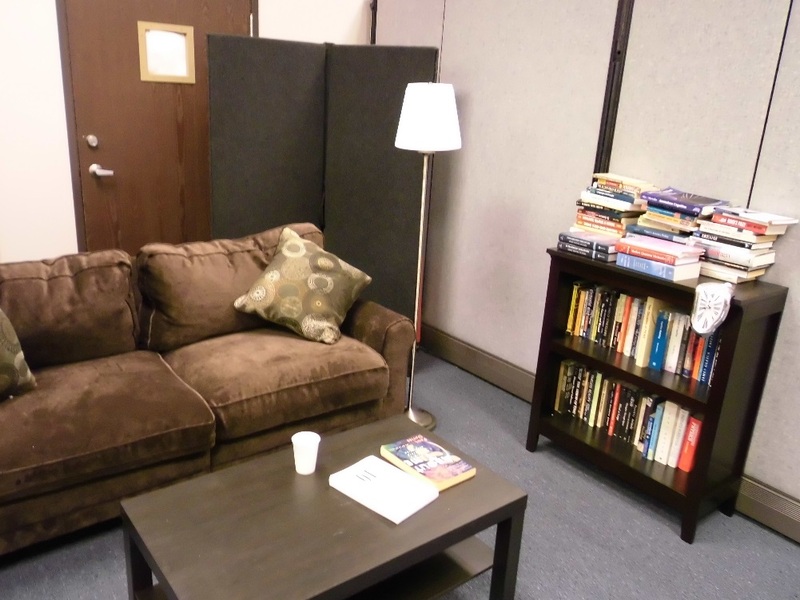 This is our rest area so people can relax after exploring the depths of the human mind. 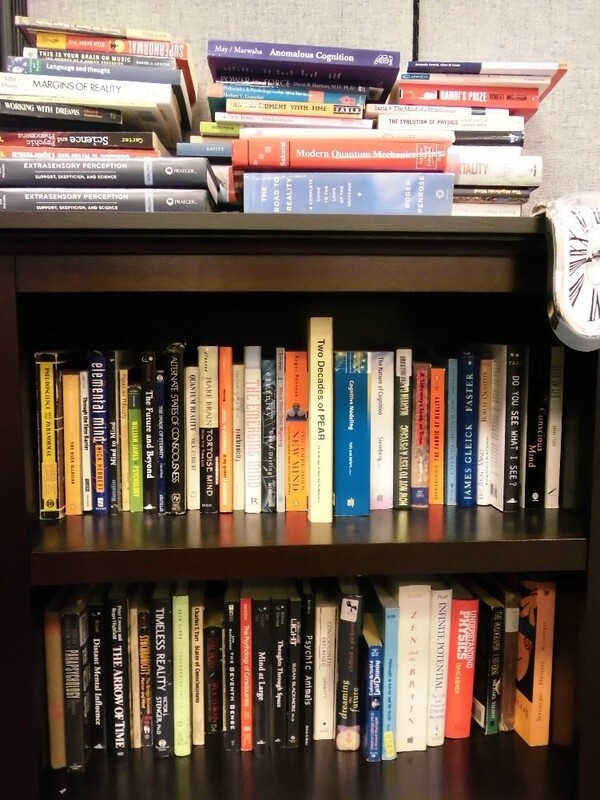 The TANC Lab library has an extensive collection of books on consciousness, psychology, physics, and the nature of time. We will continue to post updates as research progresses. Also, we will be offering a paid internship to do research at TANC Lab. Stay tuned for more updates! I was looking on your selves to see if you read The Field, by Lynn McTaggart. Amazing book which liberates consciousness. Also, relevant is a quote from the novel The Night Train to Lisbon, by Pascal Mercier. “Given that we can live only a small part of what there is in us–what happens with the rest?” My all-time favorite quote. And, lastly, I was searching to see if you had Joseph Campbell’s Power of Myth, my all time favorite book. I like what you are up to.